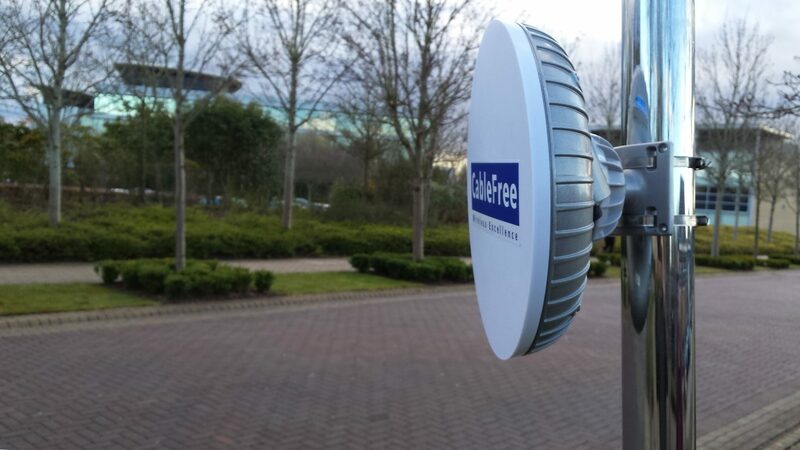 CableFree Licensed Microwave Links offer long distance, high capacity and dedicated bandwidth. The CableFree range of Microwave links include Full Outdoor (FOR3, Diamond), Full Indoor (LHR), Split Mount (HCR, LCR, MMR) and Broadcast (ASI) links to meet varied customer requirements for metro scale and national scale microwave networks. CableFree Microwave links are are available in licensed bands (4-42GHz) as well as unlicensed 5, 17, 24GHz. CableFree High Performance Licensed Microwave Radios offer up to 440 Mbps and 880 Mbps Full Duplex payload (1.6Gbps aggregate capacity) and higher up to 3Gbps or more, with a software-selectable mix of SDH, PDH and IP/Ethernet traffic in 4-42GHz licensed frequency bands. Using suitable antennas and sites, ultra-long-distance links exceeding 100km can be achieved. CableFree Licensed Radio links come in several versions with Full-Outdoor, Modular and Low Cost platforms to suit all network needs. All CableFree Wireless solutions are ruggedised and proven in harsh climates with references worldwide. Please Contact Us New Product Release! PDF Datasheet New Product Release!